CHILTERN GO FROM THE RIDICULOUS TO THE SUBLIME!! After last week’s eminently forgettable match at North Walsham, a more normal looking Chiltern side hosted Luton who had already been relegated and were clearly in party mood! A large band of their supporters joined us for a very pleasant lunch and were able to tell us that this was the strongest side they had been able to put out all season! 2 mins gone and some shadow tackling left a large hole which Luton gratefully took advantage of – converted try 0-7! 5 mins gone and a sublime pop pass from Stuart Pearham sent Dave John in under the posts, converted by Jake Cutter 7-7! 4 mins later a replica of the first Luton try, 2 missed tackles and 7-14, 5 mins later Jordan Scott over under the posts, try converted 14-14 what was going on? In truth I suspect Chiltern had decided that they were going to enjoy themselves and backed themselves to outscore Luton whatever the visitors threw at them and so it proved. Half an hour gone and Chiltern had added two more tries through Jack Kenyon and Joe Batt to one from Luton, 2 more from Chiltern a second for Jordan Scott and possible the best of the game from Jake Cutter who whose speed of feet and an outrageous dummy left Luton looking quite bemused although they did manage a further try themselves to leave the half time score a breathless 36-24! The large crowd hastily made tracks to the clubhouse for more liquid sustenance to allow them to get their heads around the 100 mile an hour rugby they had witnessed. The second half was as enjoyable as the first, another splendid try for Jack Kenyon who was on fire and a great flanker’s try for Josh Finch took Chiltern past the 50 mark before Luton managed their 5th try- 50-33. Two more for Chiltern, Scott’s 3rd and Kenyon’s 4rd took the team into the 60s before a final try for each side, including Kenyon’s 4th left the final score 69-43! It was marvellously entertaining with no little skill demonstrated by both sides. It made us wonder what Luton might have achieved had they been able to field a similar side in other games but it was a great antidote to last week’s match and leaves Chiltern in good heart for the last two games of a very long and tiring season. 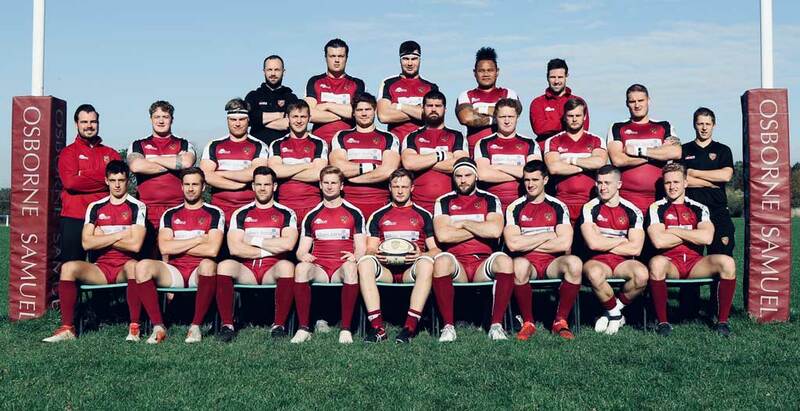 Next week is the last away game at Eton Manor on their new 3g pitch funded by the RFU before we entertain runaway leaders Rochford on Presidents Lunch day on 13 April. Neither will be easy but the boys are determined to give it their all before getting a well deserved summer break.